The local roads are now starting to dry out but the countryside remains very waterlogged. My own assessment is it will take at least a fortnight of continual dry weather before the ground will start to be firm under foot! Jan I recently took a few photos around the older part of Newbury. The town was not mentioned in the Doomsday Book but apparently it was visited by King John and Henry III. 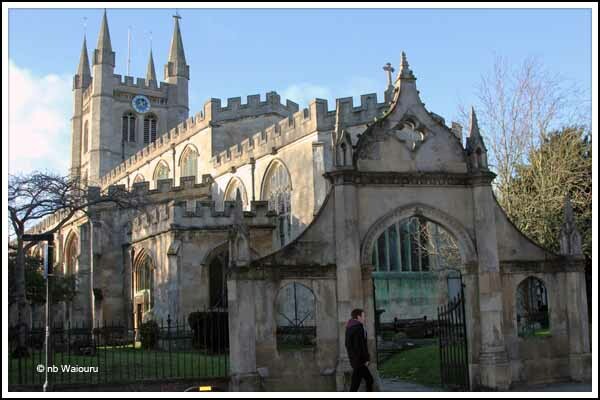 After walking past the cemetery (previously mentioned here) we reached the Church of St John the Evangelist. Interesting brickwork and a tile roof. But it didn’t look very old. We walked to the foundation stone to see it was laid in the early 1950’s by Princess Margaret after the original church had beeen destroyed by a lone German bomber during WW2. One assumes the crew were both lost and had a poor aiming ability. 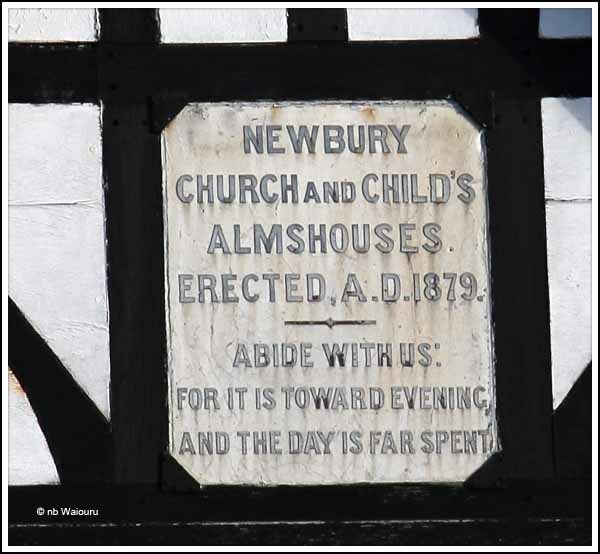 Accordingly to Bill, who now lives in Newbury, the town centre gradually moved north away from the old town. Perhaps this is why the road in that direction is named “Newtown” I’m a sucker for an old building and when I noticed this one on the corner I just had to take a photo. I like all the gables and the clay tiles on the roof. Heading further in towards the town centre there are some Almhouses. There are no Almshouses in NZ although I’ve heard of them. I’d always assumed they were established and operated by the church and this was largely true when they were first established. 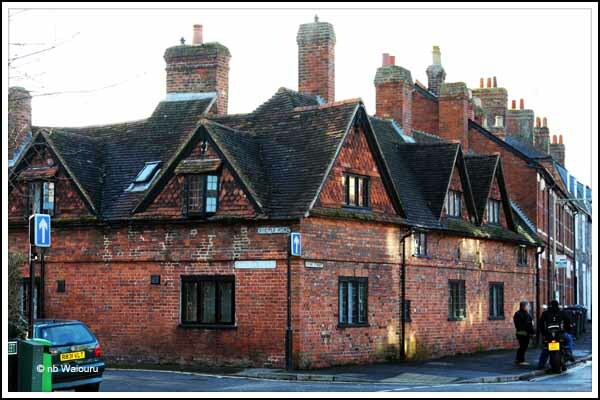 Many of the medieval almshouses were established with the objective of benefiting the soul of founders. These days the religious aspect of almshouses is no longer applicable to voluntary sector housing. 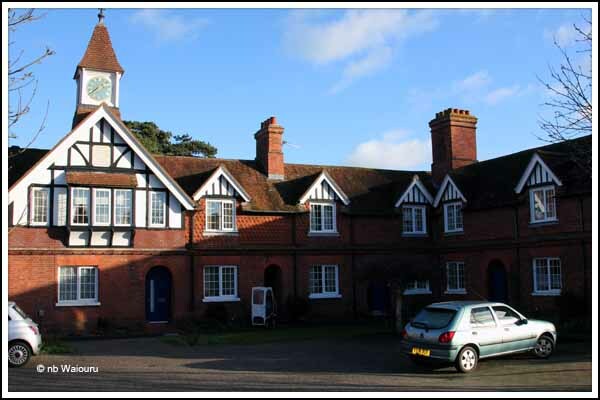 However there is an important difference between residents of almshouses and other sheltered housing. 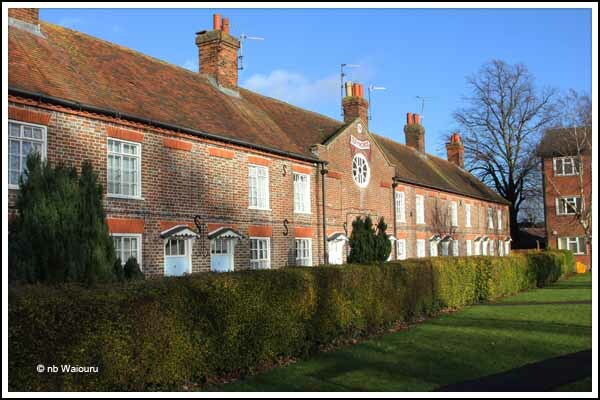 Those in almshouses have no security of tenure and are solely dependent upon the goodwill of the trustees. It appears logical to find almshouses in the vicinity of churches. 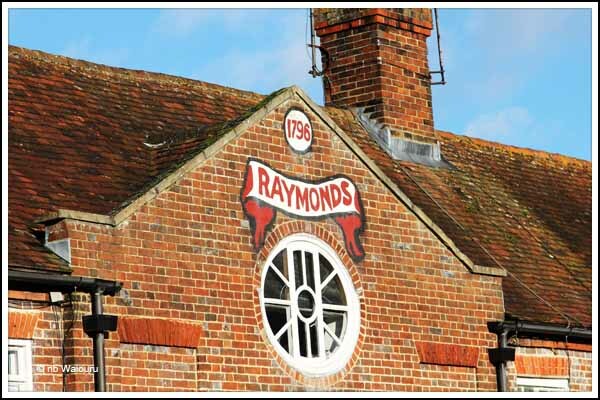 The adjacent Raymond Almshouses were originally built around 1670 and could accommodate approximately 12 people. Apparently they were named after the Raymond family who established a trust which enabled their construction. The occupants were moved to a new almshouse built in the current location around 1897. I can agree the building doesn’t look as if it were built in 1670! Looks like someone might have been telling whoppers? 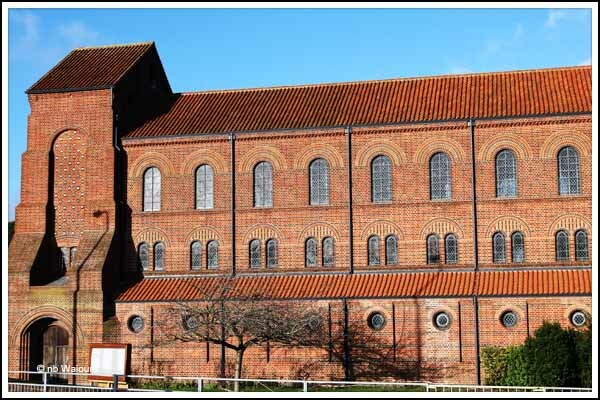 Meanwhile, unlike the Anglicans, the Catholics missed out on a new church!